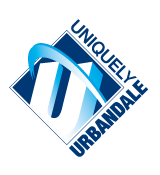 The Urbandale Community School District Board of Directors meets twice a month at the Urbandale City Hall, 3600 86th Street, Urbandale, Iowa 50322. The Board of Directors meets once a month in December and during the summer months. Special meetings are held when deemed necessary or advisable. Official action of the Board can only be taken at formal meetings open to the public. District residents are invited to attend meetings and share their ideas and suggestions for improving the school district’s educational services. Persons wishing to have an item considered by the Board should contact the Superintendent at (515) 457-5002, at least one week prior to the meeting so that the issue can be researched and placed on the printed agenda. Persons wishing to address the board on non-agenda items may be heard without Board discussion or deliberation; such persons should contact the Superintendent to ensure that an opportunity to speak is provided. Katherine Howsare can be contacted via email or phone (515) 490-3911. My husband, Galen, and I moved to Urbandale in 2011. I retired in 2015 following 20 years with UCSD as the UHS Teacher librarian for eight years and as UHS counselor for 12 years before that. I have an M.A. In Counseling from Truman State in 1981, and an M.A. In Library and Information Sciences from University of Iowa in 2008. Our daughter, Anne, is Provost at DMACC Urban, and our son, Mark, is a Technology Education teacher at Waukee High School. I like to read, work out, garden and travel. I volunteer extensively with Polk Couty Master Gardener Discovery Garden at the state fair, and at the Greater Des Moines Botanical Gardens. Tanya Ruden can be contacted via email or phone at (515) 201-9386. She and her husband Alan have 3 children: Sierra is a student at Urbandale High School, Crystal is a student at Urbandale Middle School and Tony is a student at Olmsted Elementary. Tanya earned her Business Administration degree from the University of Northern Iowa and is a CPA. She is an Accounting Manager for American Equity Life Insurance Company. Tanya enjoys cheering for her kids at various activities, volunteering with students at church, biking and eating Orange Leaf Frozen Yogurt. Aldrich can be reached via email or phone at (515) 270-2299. Aldrich was raised in Iowa. He received his bachelor’s degree in Business Administration from Drake University. With West Bank since 2008, Aldrich is a Vice President in the Commercial and Industrial Loan department. He and his wife, Sarah, have been Urbandale residents since 2007, and in the Karen Acres Elementary area since 2015. They have four children: Dominic, Averia, Quincy and Emerson. Aldrich and Sarah are active members of Johnston Evangelical Free Church. They enjoy playing rec league volleyball at Urbandale Middle School. Aldrich also enjoys working out, golf, cooking, supporting his kids in their activities, as well as, date nights. Judy can be reached via email or phone at (515) 314-5762. Judy was born and raised in Iowa. She has spent her career dedicated to the nonprofit community most recently serving as Development Director at the Iowa Environmental Council where she works to protect our natural resources. Judy volunteers with the Young Nonprofit Professionals Network where she chairs the Professional Development Committee. Judy and her husband Andrew have a two-year-old son, Charlie. They can be found exploring Urbandale’s parks, cooking together and cheering on the J-Hawks and Hawkeyes.